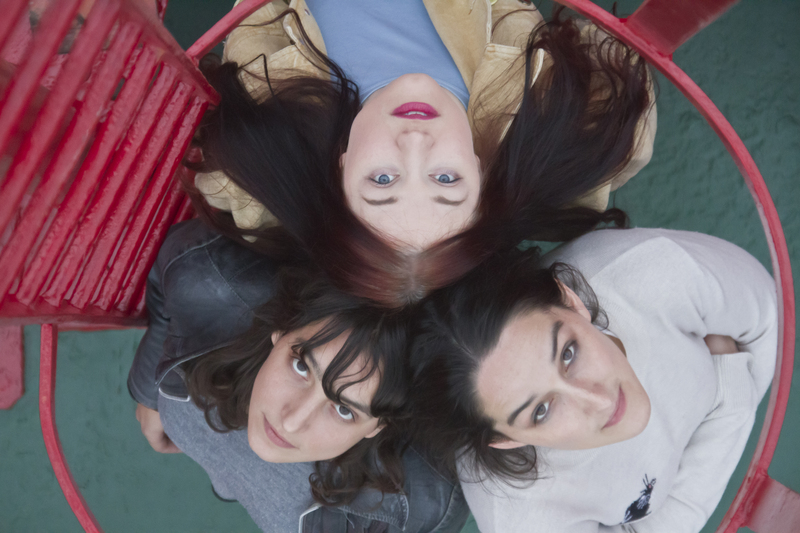 Hailing from Ireland, France and England The Wharves sport startling duel vocals, courtesy of Gemma Fleet (bass) and Dearbhla Minogue (guitar), which hang gracefully over their minimal rock format. They invoke the reverberated spook of 60′s girl groups, the mid-fi guitar crunch of Kim Deal’s The Amps, the vocal flavours of The Roches and the narrative and structural panache of 70's progressive folk. Marion Andrau’s thunderous drumming drives through these compositions, ensuring the wealth of disparate influences remain focused and celebratory.